Public services are the foundation of a fair and civilised society. Public services are the foundation of a fair and civilised society. It is essential that we protect them so they can meet the needs of the future. But across the UK they are under attack. Services that hold communities together and protect the most vulnerable in our society are being cut and privatised by the Tory-led coalition. Ministers say that these cuts are necessary to balance the books after the banking crisis plunged us all into a global recession. They want us to believe that “we are all in this together” and that everyone will need to tighten their belts to help them deal with the crisis. They will tell you that private companies are better at providing public services than trained and dedicated public service workers. But what they say just doesn’t add up. We will fight to preserve the welfare state, for better care for the elderly, for disabled people, our libraries, parks and open spaces, decent schools, and so much more. Their cuts are hitting the poorest and most vulnerable in our society the hardest. How can it be right that the bankers – who caused this crisis in the first place – are still getting their bonuses, while communities across the UK are suffering from the cuts? Staff in local government, health, the police service, voluntary organisations, schools and colleges and libraries are being axed. Young people are losing their access to quality careers advice and guidance and are being priced out of education. Private companies are circling our NHS, our education system, police, probation and our local services and taking over schools and hospitals to run them for profit not for pupils and patients. We believe there is a better way to balance the books, a fairer way to help us out of recession. We want to see investment in jobs and services to help our economy. Throwing thousands of people out of work will not help and there is no sign that the private sector will step in and create the thousands of new jobs that we need. 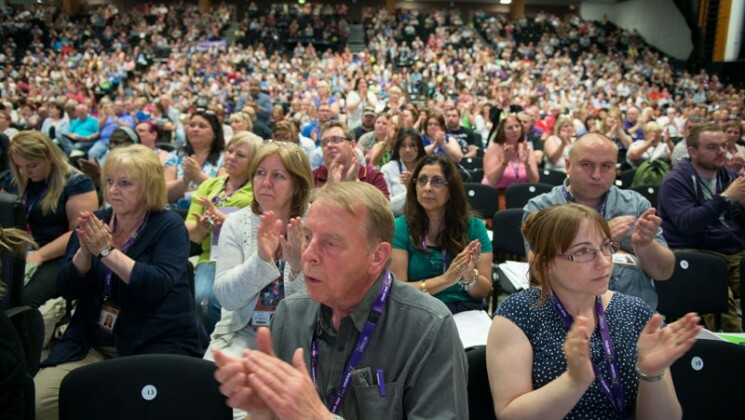 The country can afford the services that UNISON members provide – services that save, protect and enrich lives – if we stop wasting money on costly privatisations and pointless reorganisations and make the banks, big corporations and the super rich pay a fairer share in tax. UNISON is campaigning against the government’s austerity agenda and their policy of cutting public services and public service jobs. Our 1.3 million members are speaking up for public services because they care about the services they deliver and the services that they use. UNISON members drive our ambulances, teach our children, clean our streets, care for our elderly and tackle crime in our neighbourhoods. If you cut them, you hurt everyone. your public services – which are being decimated by politicians who are using the deficit as an excuse to cut public services because they don’t believe in them. Derbyshire County Council announced in December 2011 that it was closing all of its 29 youth clubs and stopping operating five buses that take youth services into the county’s villages. The cost-cutting move also meant that 157 part-time workers faced redundancy. When Ms Jeffery, who is one of those youth workers, heard the news, she approached her branch and teamed up with the union’s local and area organisers to spearhead the response. Over a 10-week consultation and a number of public meetings, the Tory authority was forced to do a U turn. “If it wasn’t for the pressure from UNISON, the council might not have conducted as vigorous a consultation as it did,” she says. And the county’s youth council, with young reps from every school in Derbyshire, started a petition and got more than 16,000 signatures to save the services. “It was a petition for young people by young people,” recalls Ms Jeffery. And the campaign paid off: in May 2012, the council decided to keep the youth clubs open. At our meeting in Birkenhead town hall you couldn’t get any more in – they were standing in the aisles and up in the balcony. That was the reaction to plans to axe jobs in a bid to save £39m. remove extra pay for weekend and evening working, which will hit 1,400 people. “The weekend working cuts will mean up to 20% loss of pay for staff for whom it’s part of their contract to work weekends, including members in social services, leisure centres, residential homes and libraries. “The cut in car allowances will hit essential users such as social workers who will lose their lump-sum payment for wear and tear – which is part of a national agreement – and receive only the HMRC mileage allowance. “Staff are well aware of the devastating effects of these cuts to pay, jobs and the service provided to the public and have been lobbying councillors by letter and email. In January 2012, Cornwall council and local NHS trusts announced plans for a mega deal to transfer 1,000 jobs to the private sector as part of a plan to set up a national “telehealth” centre in Bodmin. “We were looking at 1,000 staff, including 400 to 500 UNISON members,” explains regional organiser Stuart Roden. A year later and the plan is dead in the water. How did the union manage this? First came training. UNISON’s Jim Lewis travelled to Cornwall to run a ‘deconstruction workshop’ with the Association for Public Service Excellence (APSE). Branch secretary Gill Allen found out the key dates for council meetings and decisions so that they could lobby effectively. The branch set up an information network to get important messages out to members, the wider community and local media. They also used the campaign to recruit new members. And APSE produced a report to counter the BT business case, which was circulated to the council leaders. BT promised substantial investment to create jobs and presented itself as a model employer. But when Mr Roden phoned round to UNISON colleagues in other councils where services had been taken over by BT, the reality proved very different. Two activists from Sandwell visited Cornwall to speak about their experiences of the company. In September 2012, the cabinet decided to press ahead with the plan regardless of opposition from most councillors. A few days later, councillors passed a motion of no confidence in leader Alec Robertson, who was ousted and replaced by Mr Currie. In December, they voted for a scaled-down version of the sell-off deal, which would outsource 340 ICT and telehealth staff to BT. But just weeks later, chief executive Kevin Lavery announced that he was moving to New Zealand, while the Conservative group leader resigned. Then the local health trust said it was pulling out of the deal “after taking legal advice”. UNISON is battling proposals by Serco to cut one in six posts at Suffolk Community Healthcare. The Department of Health rates Suffolk as the best provider of community health services in the East of England – and in the top 10 in the country. But UNISON believes that patients will suffer if Serco is allowed to implement the cuts, which were announced just weeks after the company was awarded the £140m contract to run the service. The union’s response to the crisis has seen a 15% increase in membership in one month alone. For three years, the Suffolk PCT licensed the management of its community healthcare services to North Essex Partnership NHS Trust. When that contract expired last year, Suffolk opened it to tender – awarding it to Serco, who underbid North Essex by £10m. “It’s clear that Serco now wants to save that money by cutting the workforce.” says regional organiser Tim Roberts. “UNISON was very clear with Suffolk that awarding the contract to the cheapest bidder would be a mistake. But the scale of the job losses is even worse than we feared. “Serco took over the contract in October 2012 and immediately proposed a “new model” for delivering the service, which included cutting the equivalent of 137 full-time posts, or 17% of the workforce, split equally between clinical and non-clinical staff. Clinical posts to be cut include generic health workers, physiotherapists, community nurses, and specialist and district nurses. “Suffolk has the fastest-aging population in England,” says Mr Roberts. “Elderly people rely on community health services, but they are clearly going to have to wait longer to see a health professional. Mary Stokes, a health worker and UNISON steward at the Suffolk area health branch, says: “The level of anxiety is colossal, particularly among clerical staff. The atmosphere is not good at the moment. “There’s anger too, obviously, because nobody wanted privatisation in the first place. I have worked for the NHS since the eighties, as have a lot of my colleagues. In the meantime, Serco is holding a formal consultation on the proposals – a process that UNISON forced the company to extend. And the union is campaigning alongside community groups and Labour MEP Richard Howitt for the company to reverse its plans. UNISON in Edinburgh celebrated in spring 2012 after seeing off council plans for a £1bn privatisation. Described by the branch as “the biggest privatisation of council services in Scottish history”, the council’s ‘alternative business models’ project would have handed three major areas of council service over to private contractors: environment services, integrated facilities management and corporate and transactional services. The full scale of services – and UNISON members – planned for transfer to private companies was revealed in a list on the city council’s website, which broke down the three main privatisation contracts. how we manage parks and green spaces. more effective procurement, human resources and internal administration. Faced with a challenge of this size, UNISON got together with Unite and the GMB, plus community groups, to launch a broad campaign under the slogan Our city’s not for sale. As well as public campaigning, the Edinburgh branch worked hard on creating in-house bids as alternatives to the privatisation proposals and producing briefings to back them up. When the facilities management contract came up for discussion at the council in November, UNISON reminded councillors of their responsibilities under Best Value to look at services holistically. On the other hand, when the private and public-service options were compared on a like-for-like basis, said the union, the in-house bid would save £20.5m – and deliver a better service. The council agreed and voted to keep the service in-house. Then, in January, it made the same decision over the other two privatisation contracts, for integrated facilities management and corporate and transactional services. Looking back on the campaign, UNISON’s John Stevenson said one of the key lessons for the branch was the “need to use each other’s talents, working as a team and using all the tools available to us. And the lessons could go beyond Edinburgh – and Scotland. Reporting on the Edinburgh decision, the Financial Times noted that Cumbria is bringing 300 staff back in-house when a seven-year highways maintenance contract with Amey ends in April, while Rotherham and Ealing councils both insourced highways services last year. It quotes an analyst at investment bank Panmure Gordon warning the Edinburgh decision “could prove a ‘red flag’ that hostility to privatisation was growing. “My worry is it might become a wider issue and, if it did, it would knock a hole in order books, put a question over pipelines and put the support services sector under pressure,” said the bank’s Andy Brown.